International Mountain Day is commemorated all over the world on 11th December to create awareness about the importance of mountains to human life, its role in preserving the green earth and to bring positive change to the world’s mountains and highlands. 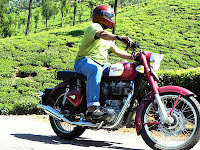 Sree Saraswathi Thyagaraja College, Pollachi celebrated the day this year in a unique way by organising a Motorcycle Expedition to Valparai for Nature Photo Shooting with a threefold mission. 3. To visit some indigenous communities in the highlands to learn about them and tell the world ‘how tribal communities live in harmony with the nature’. The motorcycle expedition team consisted of 69 students, 7 faculty members, a photography trainer, a pharmacist with first aid medicines, two motorcycle mechanics and a service van to carry food, water and other essentials. Clad in green T-shirts, expedition team possessed an exclusive identity and highlighted the message ‘Green Earth’. The expedition team gathered in the college campus at 630 am and welcomed the chief-guest Mr M. Settu, CEO, Syndicate Exports Pvt Lt, who wished the team a great success and a safe journey before he flagged-off the motorcyclists. The first halt and photo shooting was near Aliyar Dam where the team had their breakfast in an eco-friendly garden. The team then moved towards Valparai, lead by the leader Mr. Sabarinathan, the Photographer from Ambitions for Photography, Chennai. The next stop was at Chinnar tribal community. The team spent an hour with the indigenous people; listened to their living conditions and hard-life. The team then distributed clothes collected from the peers in the college. 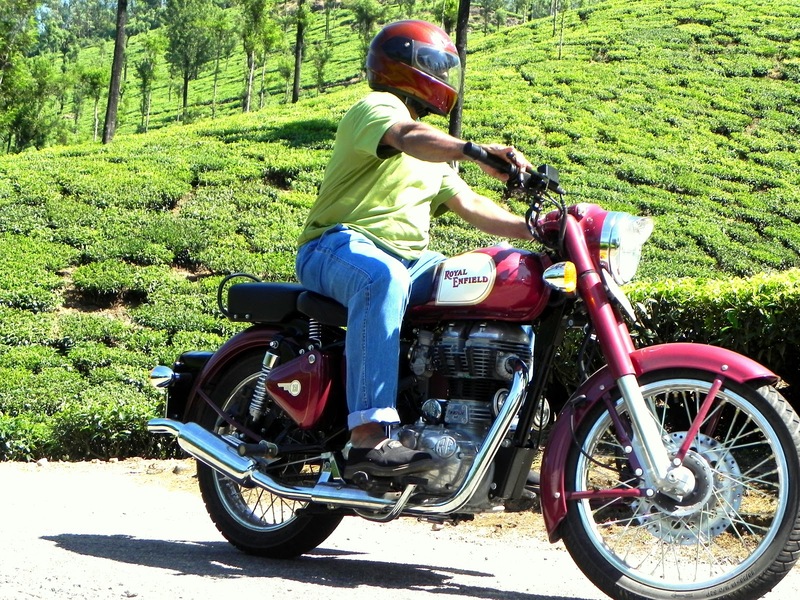 Next, on the way to Valparai, the team visited tea gardens, mountain cliffs, valleys, river beds, flowers, trees and by 2pm reached Valparai where they had their lunch. During the return, our photo trainer guided the team to new locations for shooting the beauties of nature, the flora and fauna. The team returned safely to the college and disbursed with the satisfaction of achieving the mission.